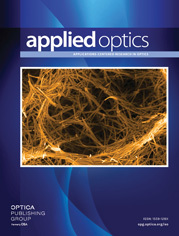 Growing laser damage sites on multilayer high-reflector coatings can limit mirror performance. One of the strategies to improve laser damage resistance is to replace the growing damage sites with predesigned benign mitigation structures. By mitigating the weakest site on the optic, the large-aperture mirror will have a laser resistance comparable to the intrinsic value of the multilayer coating. To determine the optimal mitigation geometry, the finite-difference time-domain method was used to quantify the electric-field intensification within the multilayer, at the presence of different conical pits. We find that the field intensification induced by the mitigation pit is strongly dependent on the polarization and the angle of incidence (AOI) of the incoming wave. Therefore, the optimal mitigation conical pit geometry is application specific. Furthermore, our simulation also illustrates an alternative means to achieve an optimal mitigation structure by matching the cone angle of the structure with the AOI of the incoming wave, except for the p-polarized wave at a range of incident angles between 30° and 45°.